Pictures say it all. The beauty of the church is beyond description. 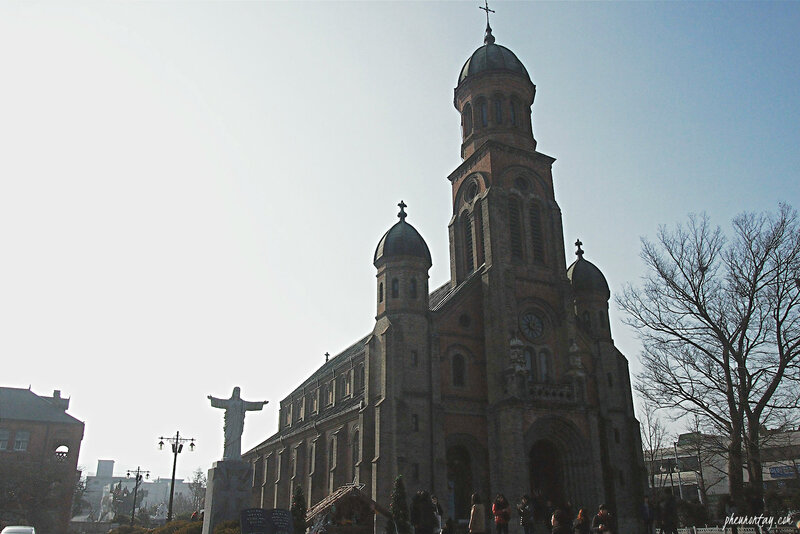 I was in Jeonju in the autumn but I wasn’t given ample time to appreciate the beauty of Jeondong Cathedral (전동성당). 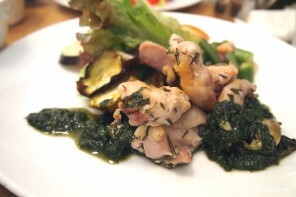 So I went back 2 weeks ago and purposely arranged to visit the place in the morning. I’d say I was lucky that day to be granted with such beautiful, natural lighting. 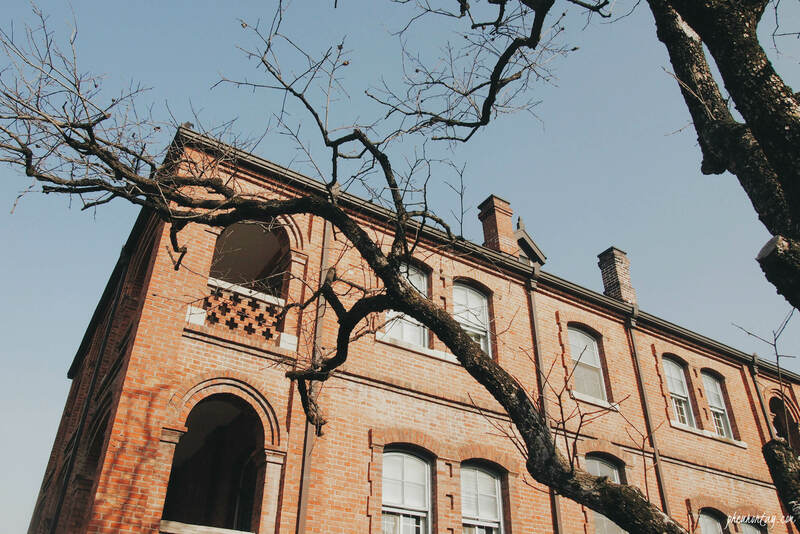 Soaking up in the harmonious atmosphere, together with the warmth of the sunshine, the trip began. 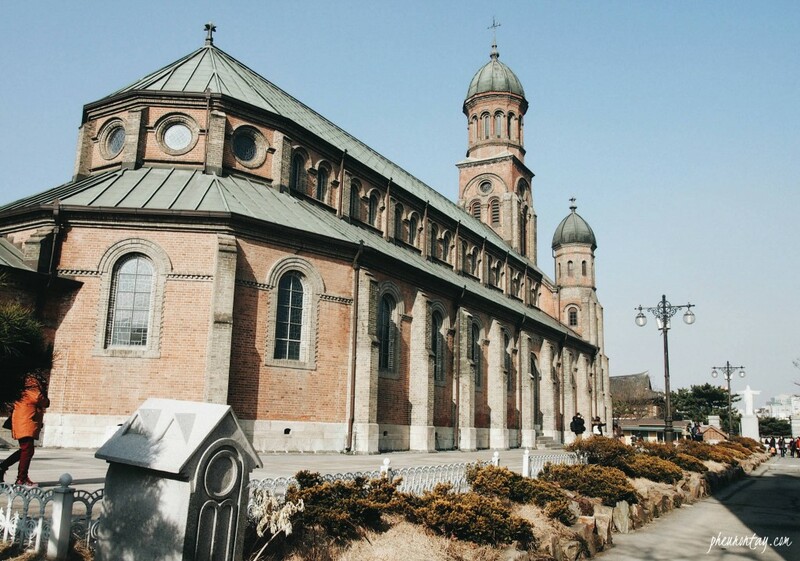 According to Visitkorea, the church was built in honor of Roman Catholic martyrs of the Joseon Dynasty on the very same spot the martyrs lost their lives. 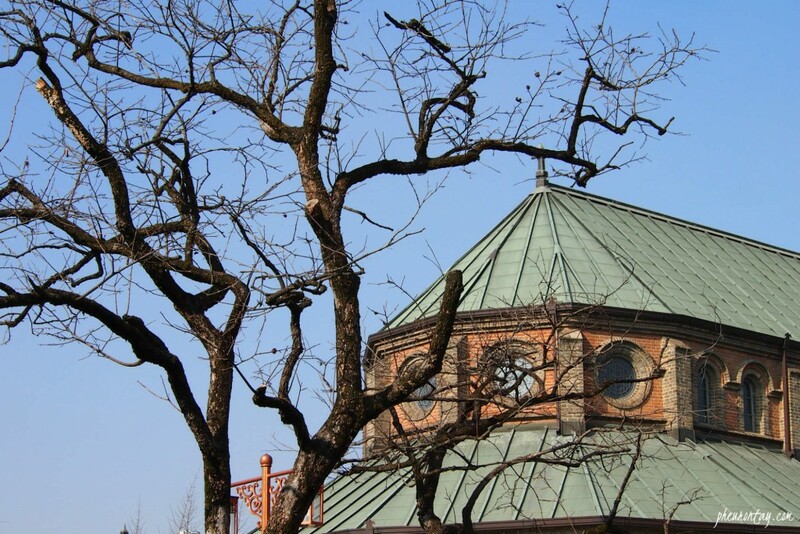 The piece of land where the church is located was purchased by a French Priest Baudenet in 1891, but construction of the church did not begin until 1908. 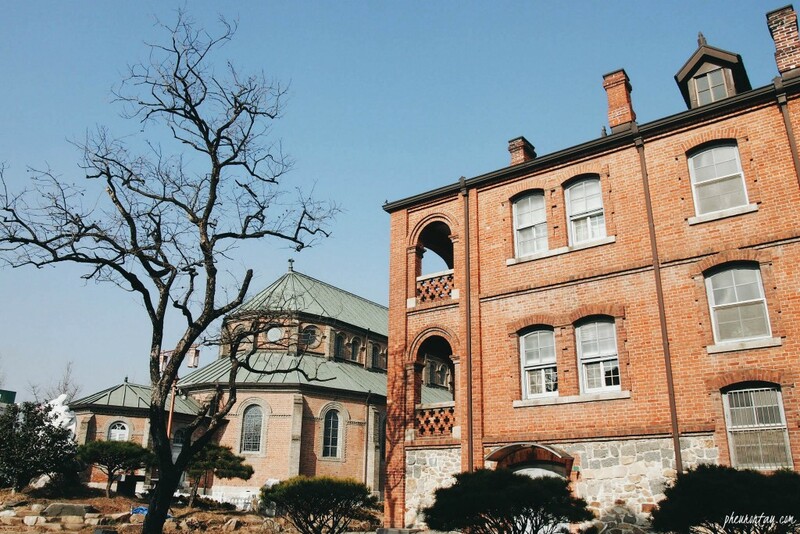 The church was designed by Priest Poinel, who also designed the famous Myeongdong Cathedral in Seoul (this explains why the two churches bear resemblance). Construction was completed 6 years later, in 1914. 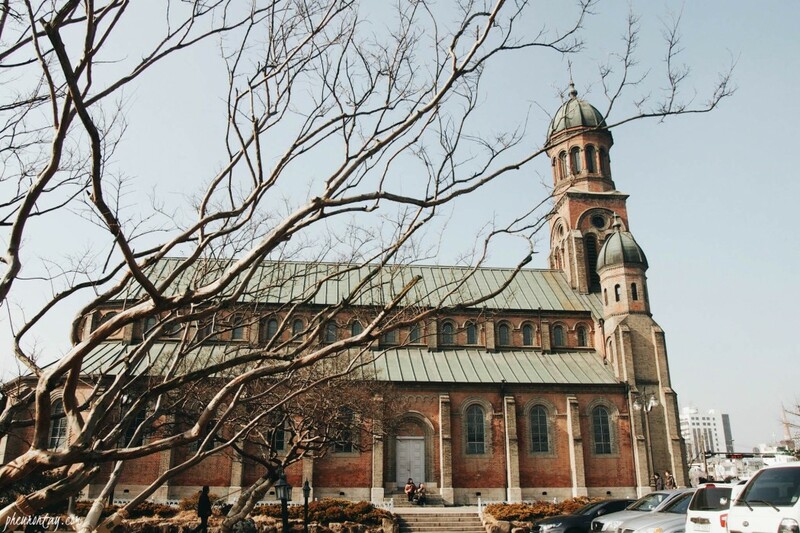 With its one-of-its-kind combination of Byzantine and Romanesque architectural styles, the church is considered one of the most beautiful Catholic churches in Korea, if not, one of the most beautiful building structures in South Korea. 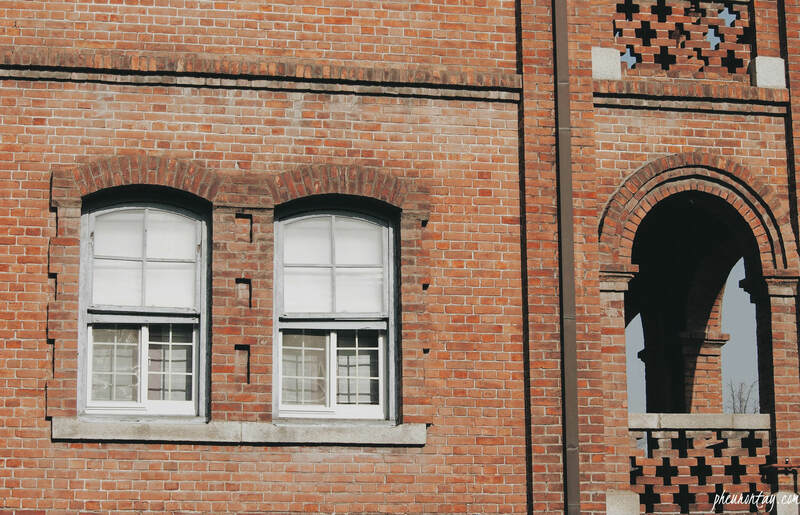 I am very much in love with the grey and red bricks, also the seafoam green roof. p.s. 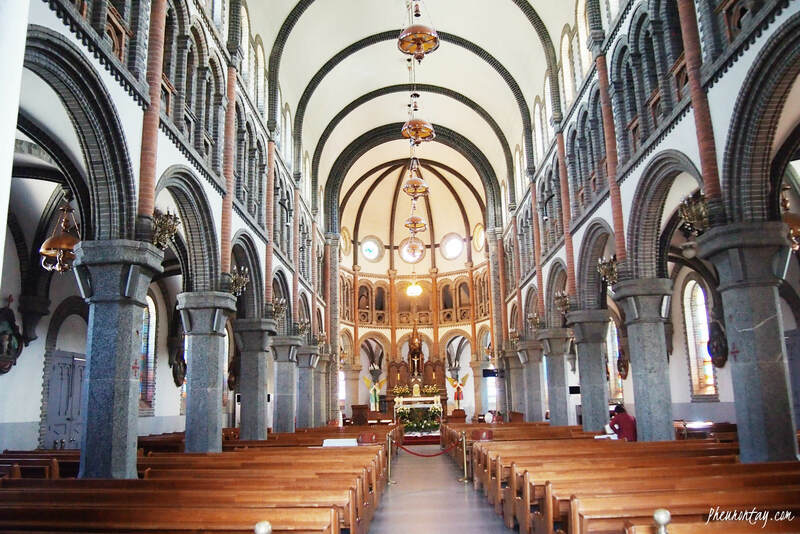 The church is very popular with tourist and locals alike. If you’re planning to get some good architecture shots, do come as early as possible. No interpretation service is available. 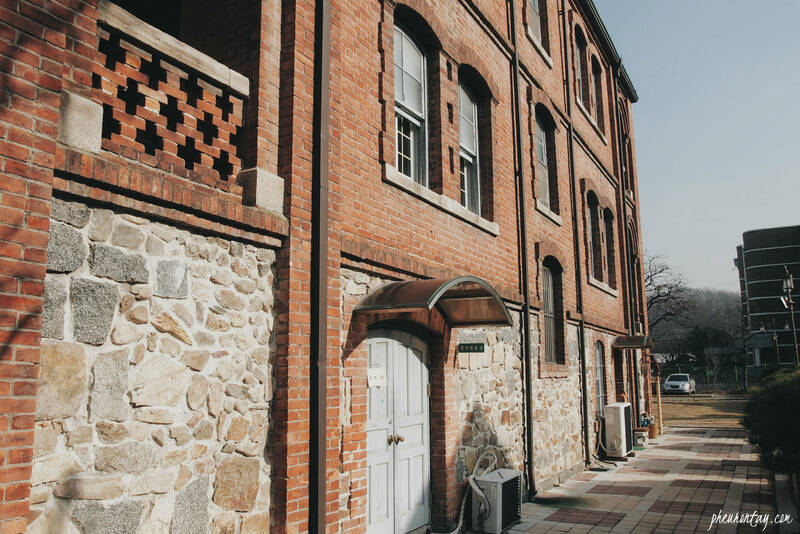 From Jeonju Intercity/Express Bus Terminal, take Bus 5-1, 5-2 or 79.Get off at Jeondong Catholic Church (Hanok Village) Bus Stop. 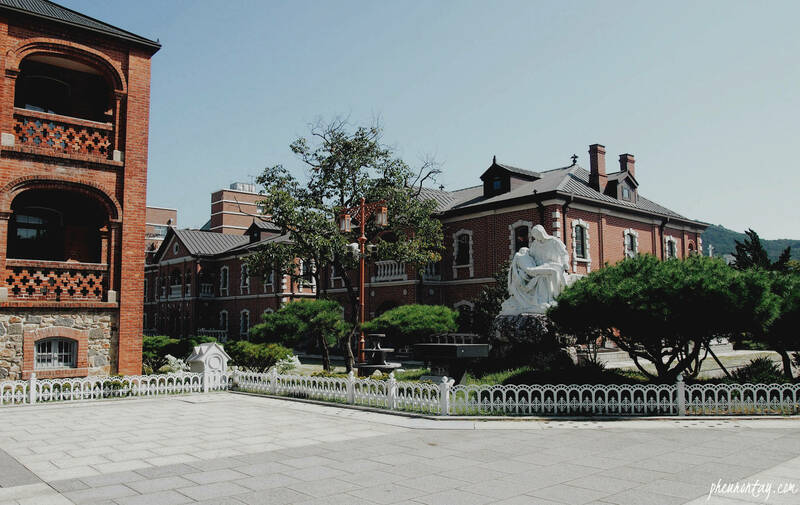 From Jeonju Station, take Bus 19, 60, 79, 109 or 119. Get off at Jeondong Catholic Church (Hanok Village) Bus Stop.